Turn back time & picture yourself riding your buggy.. so inviting. Exterior hints of old school glamour inside & boy does this Kennesaw Ave home drip w/ glamour.Lanterns, exposed brick walls,sculpted fountains & ornate frplaces are a few of the spectacular details you will find on this property. Greek Revival-style mansion w/ fascinating history.Sprawling attic was once used for community dances (stage still there). There used to be an underground tunnel from the bsmnt used during the Civil War. 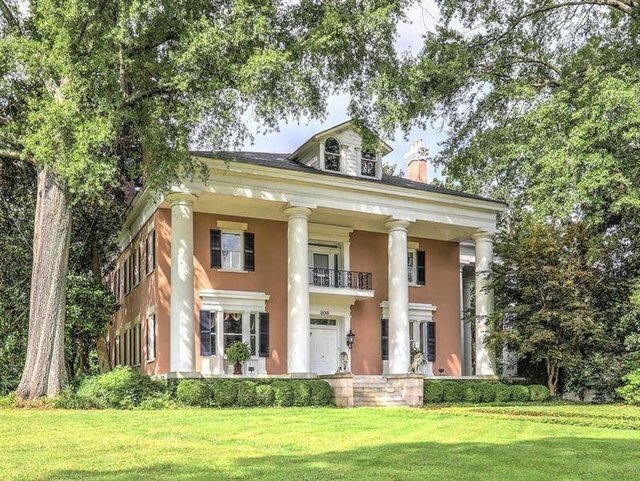 This house is listed in the National Registry of Historic Homes.